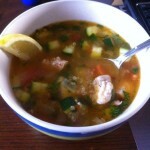 A couple of months ago, I made the most fabulous dish ever. 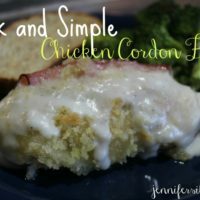 I love Chicken Cordon Bleu, but when I found this simple and easy dish, I knew it was going to be a hit with the family. 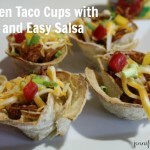 I love creating delicious dinners for my family — ones that don’t take forever to cook. 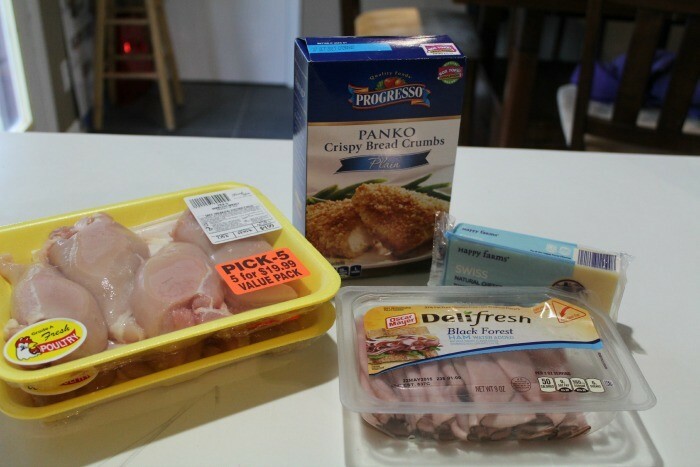 Chicken breasts, ham slices, swiss cheese, and panko bread crumbs. There are some other ingredients you need for the sauce, but most of those are pantry staples. Lightly grease a 9X13-inch baking dish with cooking spray and preheat the oven to 350 degrees. 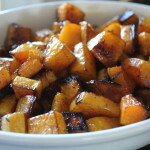 In a bowl, combine the bread crumbs and melted butter. Set aside. 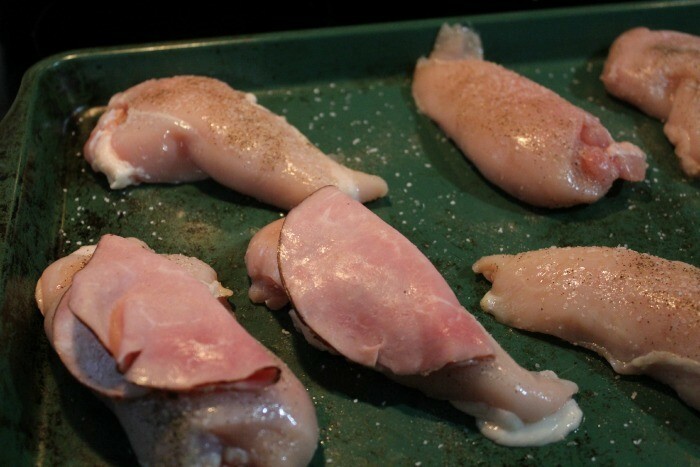 Lay the cut chicken breasts in a single layer in the 9X13-inch dish. Sprinkle each chicken breast with salt and pepper. Layer each chicken breast with two slices of ham. 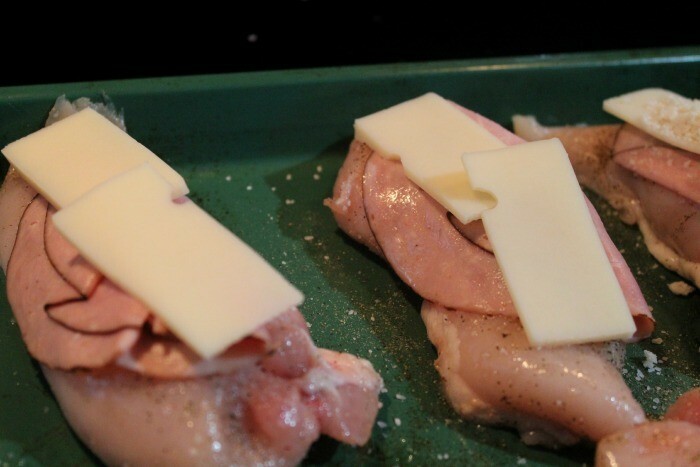 Now, top with slices of Swiss cheese, layering across the chicken breast to make sure the entire chicken breast is covered with ham and cheese. Sprinkle the bread crumbs over the top of the chicken. 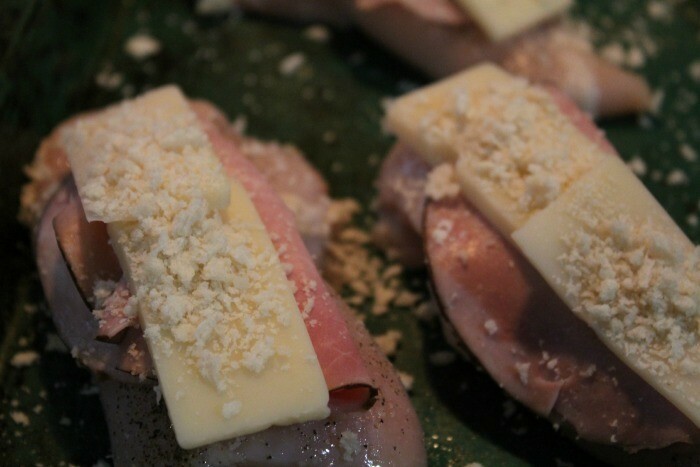 Bake the chicken for 30-35 minutes, until the chicken is cooked through completely, the cheese is bubbling and the bread crumbs are golden. Once it is done, you are going to make the Parmesan sauce to pour over the top and then serve with your favorite veggies and bread. 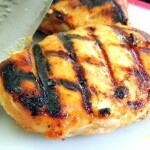 Lay the cut chicken breasts in a single layer in the 9X13-inch dish. 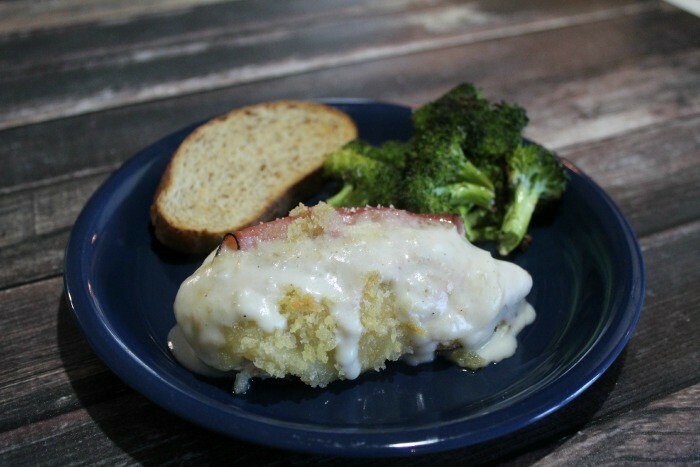 Layer each chicken breast with two slices of ham and top with slices of Swiss cheese, layering across the chicken breast to make sure the entire chicken breast is covered with ham and cheese. Sprinkle the bread crumbs over the top of the chicken. 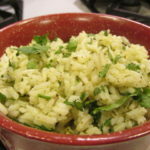 Once the sauce has bubbled and thickened, remove from heat and stir in the mustard, Worcestershire sauce and Parmesan cheese. 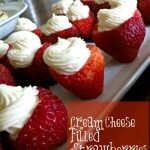 Stir until the cheese is melted. Keep the sauce warm until the chicken is finished baking. If your sauce is too thick, whisk in some more milk. If it's too thin, simmer longer. 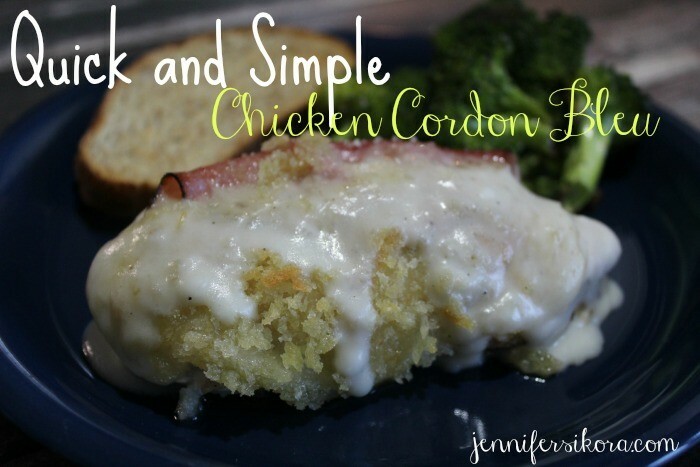 Serve each chicken cordon bleu portion with warm sauce. 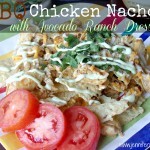 You definitely need to make this dish for your family tonight! They will love it. Previous Post: « I’m Headed to New York!